I know Christmas is over, but I'm guessing I'm not the only one with a tree still twinkling in the corner. And since I had a hard time getting in the spirit this year, it's only been up for about a week now. We'll probably take it down on New Year's eve. In the same spirit, I'm bringing you a bit of an afterthought (though not really, because it was planned) today—what's four days in the grand scheme? Now, I say it was planned. It's true. You may remember me mentioning earlier this month that I was hosting the current round of Food 'n Flix with my pick, A Christmas Story. I didn't actually make the entries due until yesterday, so I knew I'd be posting food with a bit of holiday inspiration behind it after the fact. And can I just say, I had so much fun coming up with something inspired by the movie! I actually had a hard time narrowing it down. This is one of those movies that I watch at least once (usually more) every December; the whole family does. And I've been doing it for 30 years. I'll go ahead and call it a tradition. Though it's not a typical "foodie" flick, there is plenty of inspiration throughout. From the most basic inspiration, the holiday itself, to actual movie scenes. I'm not going to lie, the meatloaf and mashed potatoes that make regular appearances at the Parker's dinner table left me hungry for some good comfort food. Even the pot of red cabbage boiling on the stove got me thinking (you'll see a salad featuring red cabbage soon that I almost used for this post). I almost went the way of Ovaltine, thanks to the Little Orphan Annie decoder pin that Ralphie waited so patiently to receive. I even tried hunting a vintage '40's decoder down online (pricey). I even contemplated bringing the "snowball sandwich" line to life. 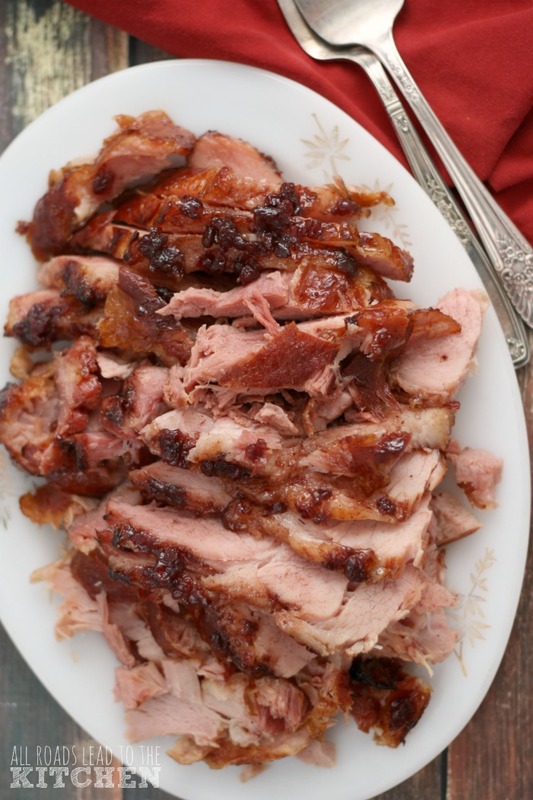 And of course, there was the turkey scene (shredded turkey, anyone? )...which led the family to the Chop Suey Palace. Duck Chop Suey was actually what I initially thought my post would be. I also had visions of a cocktail inspired by a certain "major award" glowing in the window. But after sitting down with the kids and laughing our way through the movie again on Christmas Eve, after returning from a family get together, inspiration struck. Of course I'd contemplated using the "oh fuuuuudge" scene before. I mean—fudge...Christmas...hello! But I really wanted to work the big red bar of soap into it somehow, as well. No punishment is quite so vintage as washing out one's mouth with soap, afterall. So, these "Oh Fuuuuudge" Pops were born of my desire to take it a bit further than "just" fudge. 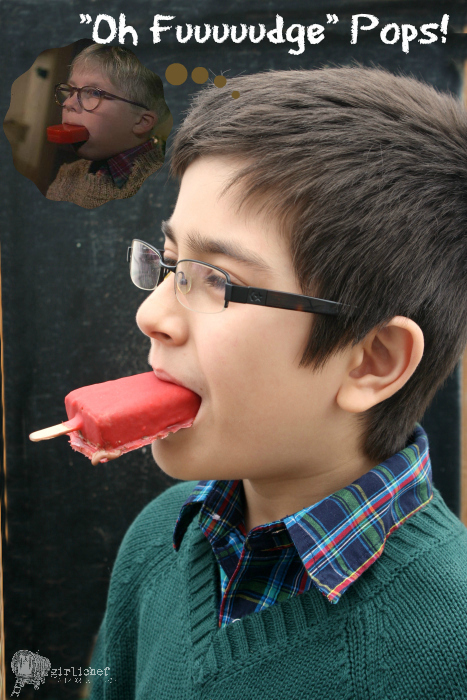 The fudgesicles themselves are rich, creamy, and totally worth enjoying even with a bit of snow on the ground. The cherry shell, while not the prettiest dipping job in the world, completed my vision. Plus, they are soooooo good! 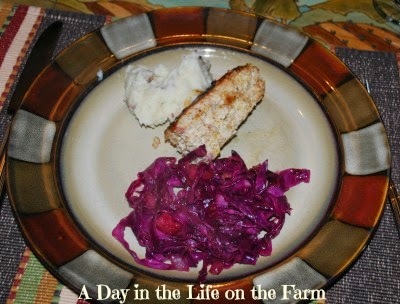 I have a feeling that I could do a week-long special of Christmas Story-inspired dishes next year. Who wants to join me!? Rich fudgesicles surrounded by a cherry shell. 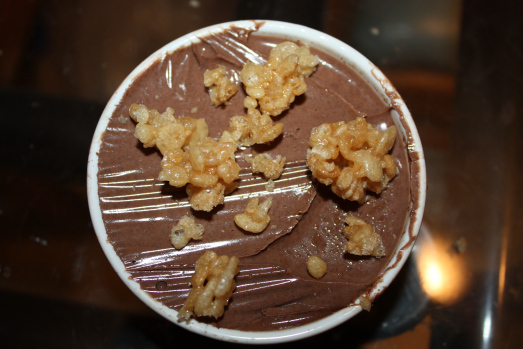 Place both types of chocolate into a 1 quart glass measuring cup with a spout; set aside. Whisk the heavy cream, milk, cocoa powder, vanilla, and salt together in a medium saucepan over medium heat. Bring just to a simmer, whisking almost constantly. Remove from heat and pour over the chocolate in the measuring cup. Let sit for 3 minutes, then whisk until smooth. Divide the mixture among 8 popsicle molds (2.5 to 3 ounces each). Transfer to freezer and freeze until solid, adding the popsicle sticks once the mixture is just starting to set, about 90 minutes in. Make the coating once your pops are frozen solid. Place the coconut oil in a 1 quart glass measuring cup and microwave until just liquidy, about 30 seconds. Add the cherry chips and corn syrup to the cup and microwave for another 15 seconds. Remove and stir. Repeat process in 15 seconds bursts until mixture is entirely smooth. Pour the mixture (see notes) into a tall container that is narrow, but not so narrow that you won't be able to dip your fudgepop; a glass works well here. 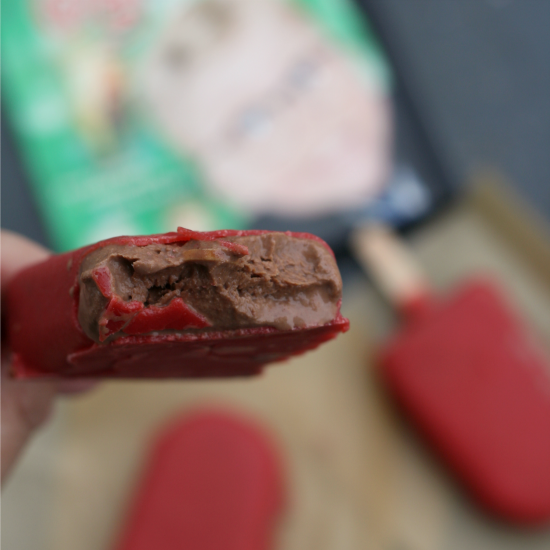 Remove your fudgepops from the molds. If they seem a bit melty, set them on a parchment or wax paper lined tray and pop them back in the freezer for 5 minutes; you want them to be as frozen as possible when dipping. Dip them one at a time in the cherry coating, setting them on a parchment or wax paper lined tray when done. Set the tray in the freezer until firm (just a few minutes). Repeat dipping process. Freeze for another 5 minutes or so. At this point, you can wrap them individually in wax paper and slide them into a freezer-safe baggie to store—or eat them! This makes about 2 cups of cherry coating. You can pour half into a glass and use it (because that is about all you'll need), and then pour the rest into a squeeze-bottle and use it for eating on ice cream (like magic shell). 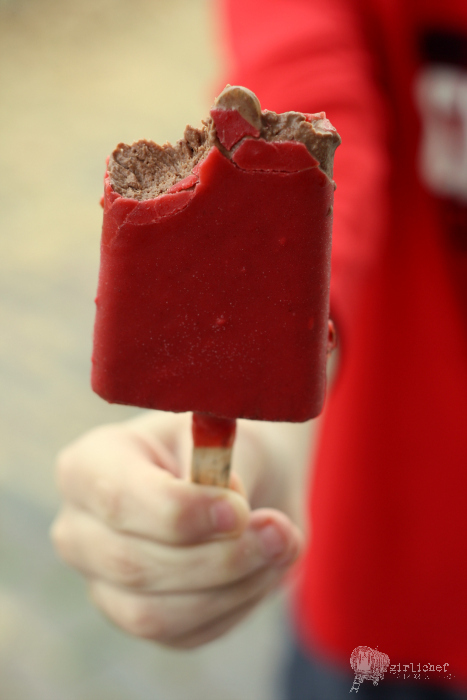 And YES, you can totally make these fudgesicles WITHOUT dipping in cherry coating. 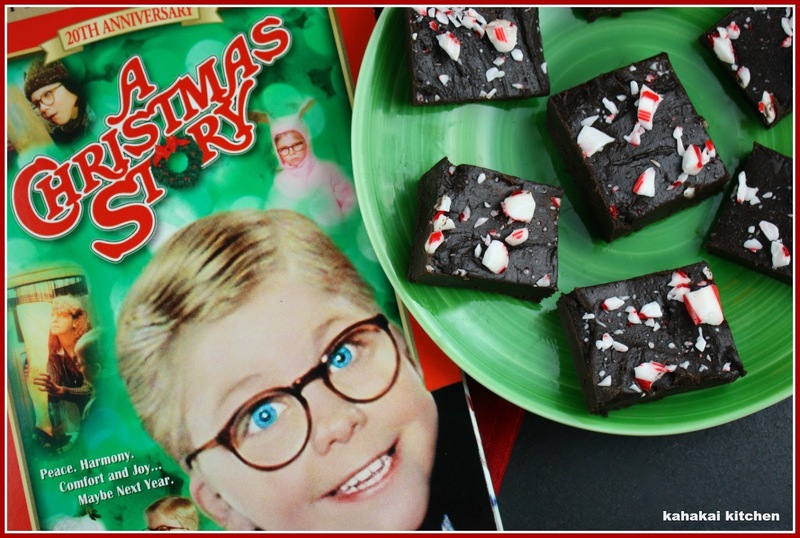 Since I am hosting this round of Food 'n Flix with A Christmas Story, I'm not only sharing what this film inspired me to make, but also what it inspired the other members of Food 'n Flix to make after watching it (some for the first time. Ever)! Obviously I wasn't the only one inspired by Ralphie's "oh fuuuudge" moment. I didn't figure I would be. As a matter of fact, three other people chose it as the inspiration for their dish. 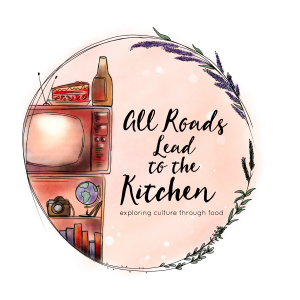 Amy from Amy's Cooking Adventures admits that even though her family loves the movie and watch it yearly, it grates on her nerves. But the "oh fudge" scene still amuses her (of course! 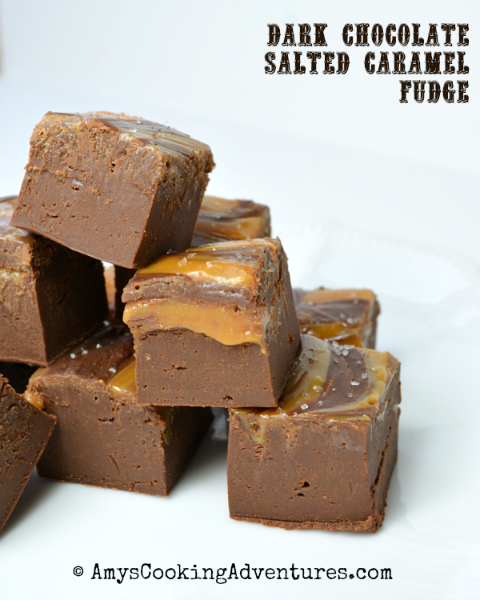 ), so she chose to make this Dark Chocolate Salted Caramel Fudge in honor of the scene that still amuses her. I love how my friend Deb from Kahakai Kitchen declares A Christmas Story "a slice of Americana and good (if not always appropriate) family fun". I couldn't agree more! I also couldn't agree more with her decision to make this intense Creamy Dark Chocolate Peppermint Fuuudge! in ultra-creamy fashion to celebrate the holiday. Debra from Eliot's Eats may not be "the sentimental sort", but apparently I hit a soft spot with this month's flick pick (yay!). 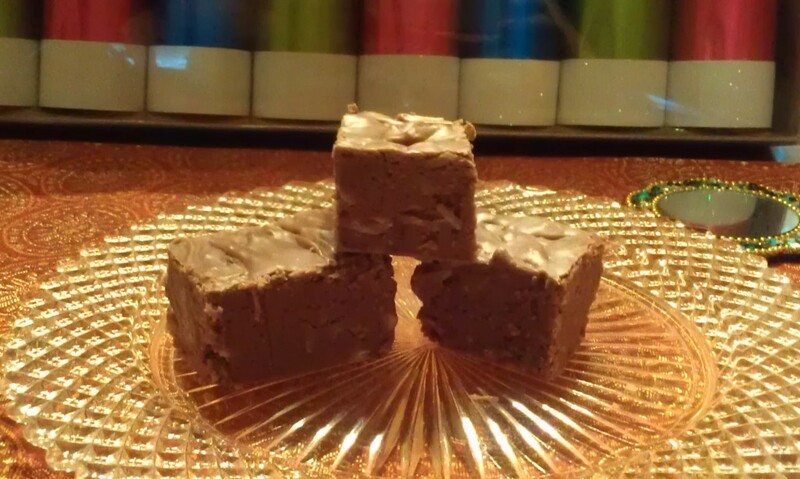 Though she's been watching ACS for years, she shares a single year etched in her memory, and the recipe for her family's Christmas Fudge. That's the good stuff, baby. This was Caroline of Caroline Makes first time watching A Christmas Story. And guess what? She didn't like it (boooo). To be fair, it's an American classic, and she's doesn't live here. But she was a good sport and decided to contribute this Chocolate Orange Trifle to the party anyway. While it may not be from the flick directly, she was inspired by Christmas-time. Caroline wasn't the only one who had never seen this flick before, it turns out that this was Camilla from Culinary Adventures with Camilla's first time, as well! I'm happy to hear that Cam enjoyed it and its fun and satirical nature as much as I do. She was inspired by the ruined Christmas turkey scene (Son's a b*tches! Bumpuses!) and subsequent visit to the Chop Suey Palace. 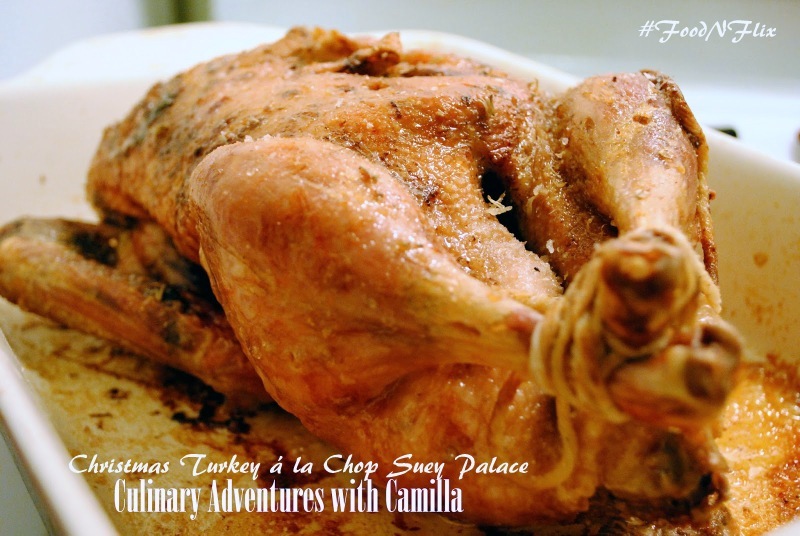 Although her Christmas Turkey á la Chop Suey Palace wasn't smiling at her, I love that she chose this scene as inspiration! Evelyne of Cheap Ethnic Eatz is also in the "love it" school for ACS. She shares a few of her favorite movie quotes and scenes (all of which I adore), and decided to steer away from the family's norm of meatloaf with boring mashed potatoes and boiled red cabbage, and share these ridiculously amazing-looking Pan Fried Smashed Potatoes instead. I wonder if these could convince Randy to eat without going all "little piggy"? I also love the nod to the fate of Mr. Parker's major award...smashed. 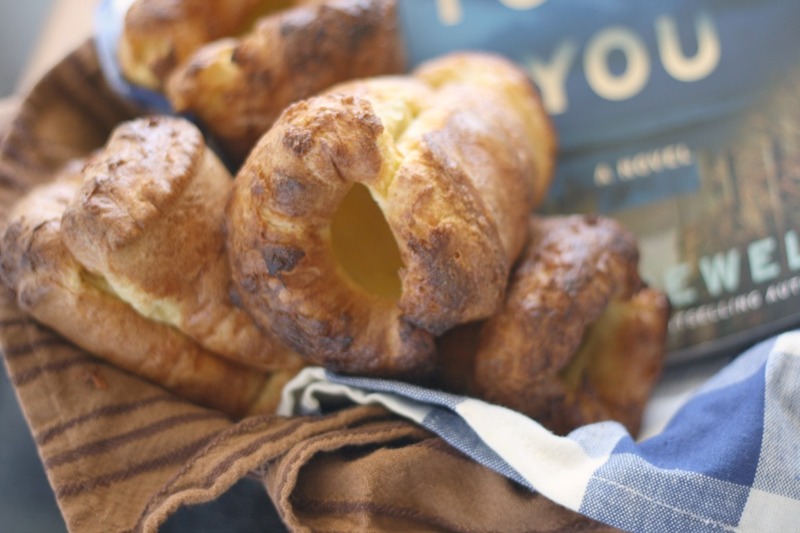 I'm so excited that Elizabeth from The Law Student's Lawyer's Cookbook chose the Little Orphan Annie decoder pin scene as her inspiration for this round! I get a kick out of Ralphie's reaction when he realized that his first "secret message" is really just a stupid commercial. Her Ovaltine Pudding with Honeyed Rice Krispies sounds like a delicious end to any Christmas meal. 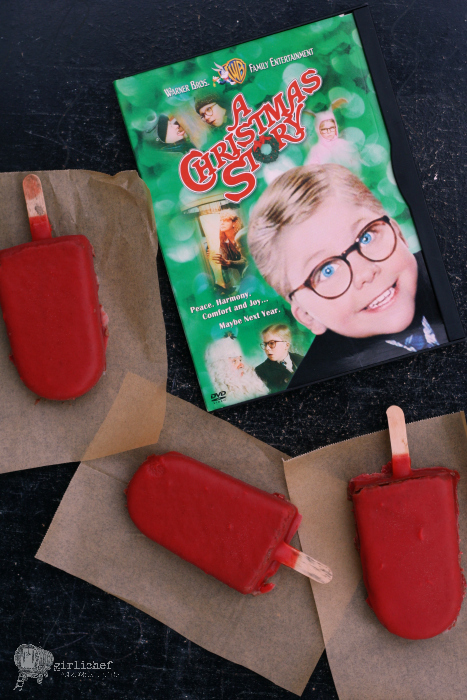 Thanks so much for joining me and the Food 'n Flix club for our bites inspired by A Christmas Story this month! 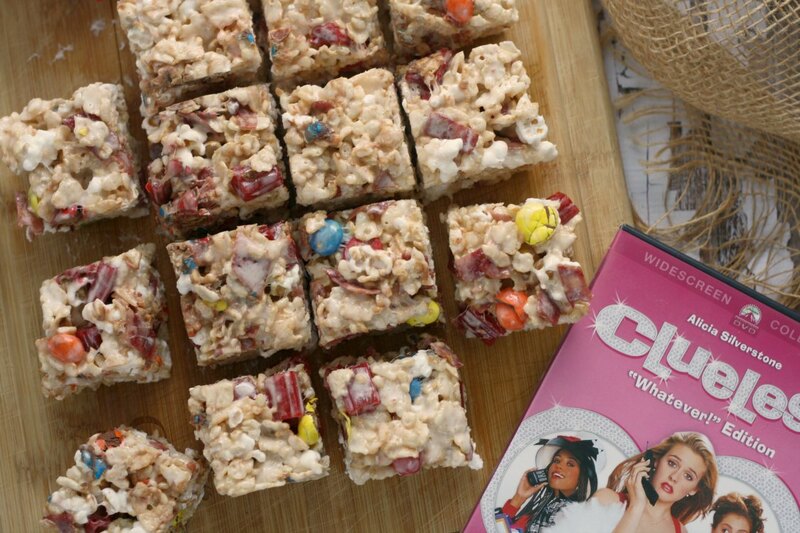 One thing I really enjoy about Food 'n Flix is that while everybody may not like or connect with each and every movie, they can still conjure up the spirit that the group embodies—taking inspiration from the chosen flick and heading into the kitchen. Afterall, a bad movie experience can be turned around by a happy belly. If you've never joined us for Food 'n Flix, but would like to, we'd be happy to have you—everybody is welcome. We have a monthly host who chooses the movie and sets the deadline. The experience and inspiration you take away from the watching that chosen film is all yours. Get really creative, or go with something obvious—we love it all! We have lots of fun movie picks lined up for the new year, and I have an extra-special month of fun planned in September to celebrate the Food 'n Flix 5-year anniversary (I can hardly believe it's been that long since I started this little club)! 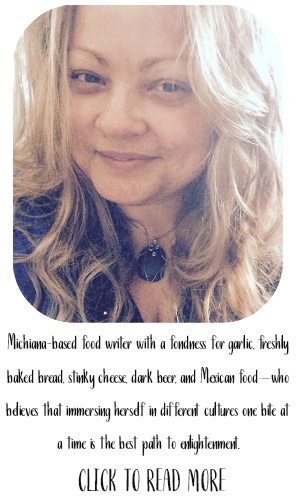 But next up, Evelyne from Cheap Ethnic Eatz is kicking of 2015 with her pick, Bridget Jones's Diary. 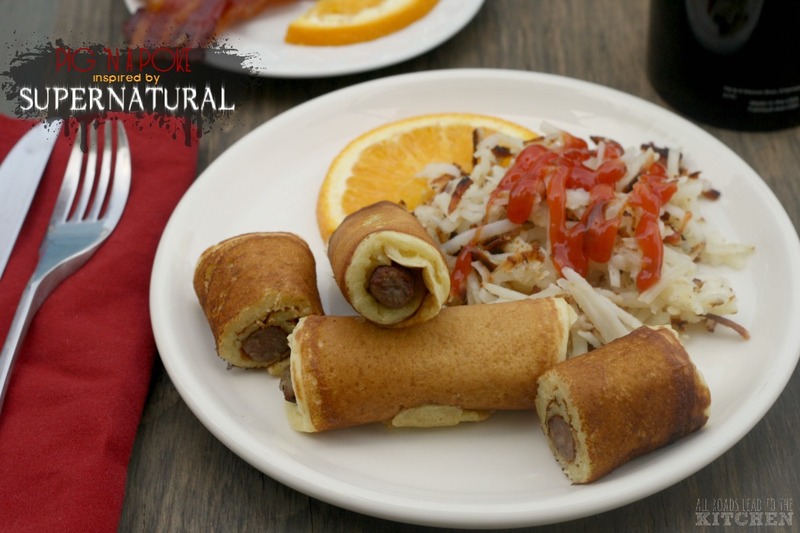 See you in January with more movie-inspired food!